An exceptionally versatile and highly wearable men’s shoe is the Lotus Jacob. This men’s Derby shoe is cut from brown imi-suede and is distinguished by the creative application of punch work and wingtip detailing. 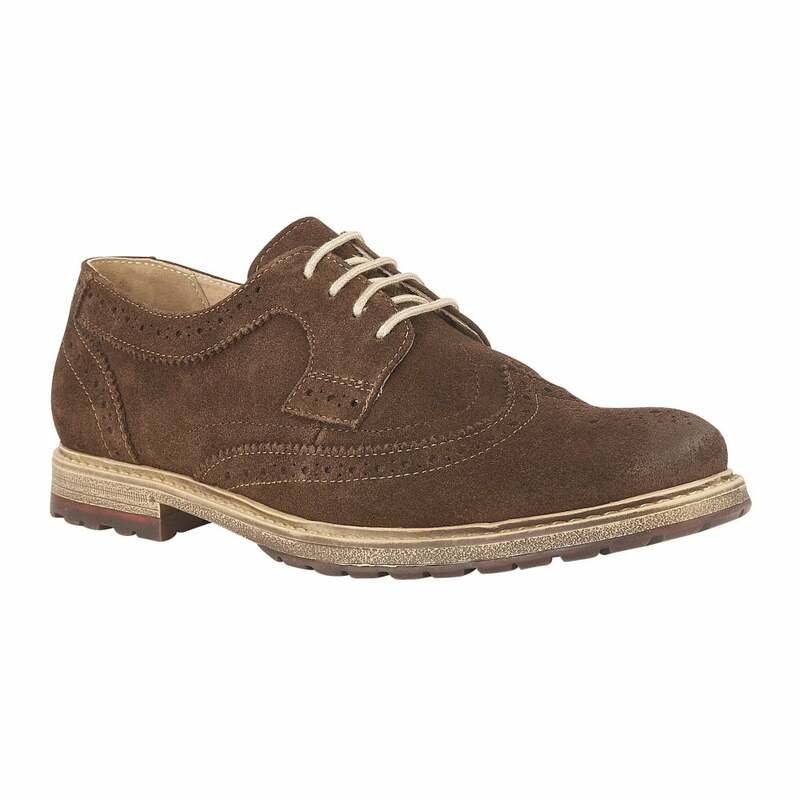 This men’s Lotus lace-up brogue certainly has a directional look that will appeal to well groomed gentleman.